Flamenco rhythms are most often expressed using palmas (hand-clapping) and the cajón (box percussion instrument); the castanets (castañuelas or palillos) are used with a few flamenco forms, such as the fandango and sevillanas. In the film El Embrujo del Fandango, one can hear Carmen Amaya’s wonderful castanet-playing as she dances the fandango; I say ‘hear’ because it is not so easy to see them in her hands as she is moving about so quickly. The castanets have string which is looped onto the thumb, and the castanets then sit neatly in the palms of the hands. Castanets are played in pairs; they are of different pitches, the lower pitched castanet is called the macho (male) and the higher pitched one is called the hembra (female). They come in different sizes according to one’s hand size. 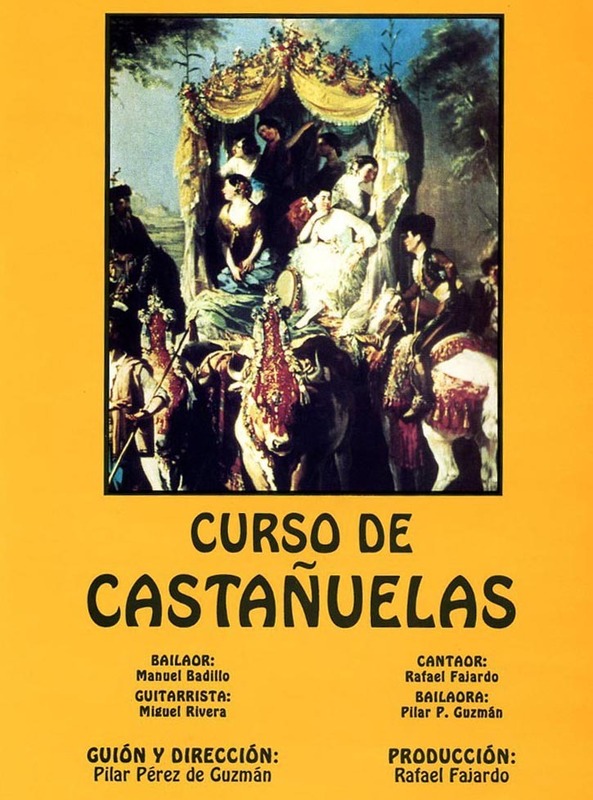 For a good castanet DVD to learn from and also build your technique, try the Curso de Castañuelas presented by the dancers Pilar Guzmán and Manuel Badillo, the cantaor (singer) Rafael Fajardo and guitarist Miguel Rivera. It starts from the very beginning and everything is explained and can be seen clearly. The exercises start from the very simple and build into longer patterns and the proper flamenco rhythms. Most importantly, everything goes at an unintimating pace. The dancer Lucero Tena is internationally known as a castanet player and is often performing with classical musicians. She made a recording for learning to play the castanets in 1966 called Lección de Castañuelas, which was later re-released on CD. 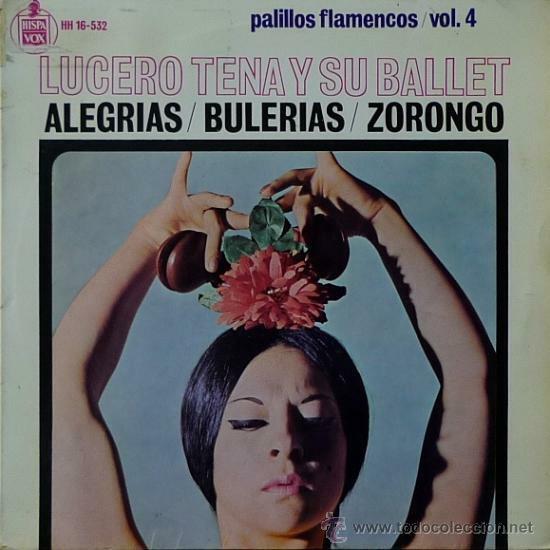 Lucero Tena is Mexican and as Carmen Amaya spent a number of years living in Mexico during the 1950s, Lucero Tena had the good fortune to watch her very often in performance and rehearsals. Later, at the age of 16, she become a member of the Carmen Amaya Dance Company for a three years, before moving to Spain in 1958. Lucero Tena went on to establish her own career but it would be difficult to find an interview of her, where she doesn’t mention Carmen Amaya with great respect, admiration and gratitude. I cannot resist mentioning that both my namesakes played the castanets: Saint Teresa of Avila (1515-1582) was known to play castanets and dance and Saint Thérèse of Lisieux (1873-1897) also. As you can see from these dates, castanets pre-date flamenco. In their wooden form, they have been used since renaissance times. At the beginning of the twentieth century, the Spanish dancer and choreographer ‘La Argentina’ had two solo dances which were considered to be her most outstanding and both were accompanied by her on castanets: the Seguidilla, which she performed without music, just with the castanets and La Corrida, which she performed with castanets and Valverde’s music, or just with the castanets.